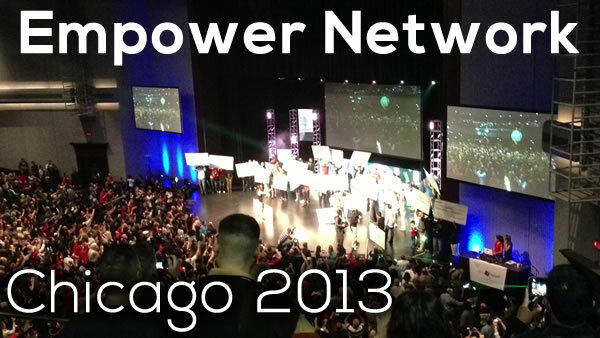 This past weekend I had the most eye opening experience at the Empower Network event in Chicago. The bottom line: Anyone can make $10K+ per month and the only person holding you back from it, is yourself. When I first got started in this industry and more specifically with Empower, I was blessed to join a team of like minded individuals all striving for the same goal. Everyone supports each other, pools resources, tips and knowledge. The leadership is incredible and interactive. It’s one thing to be in a “team” with a major earner but never get to talk to them vs. being able to freely message them and actually get a real response. I began network marketing because I always knew there’s millions of dollars to be made over the internet, but the trick was finding the right vehicle that was genuine and legitimate. I’ve found it. Not only the company/system, but the people AND the process. For the people that think this is a “scam” or something illegal, STOP READING NOW! I don’t have time to waste with those that are going to sabotage their own success. Granted I know it’s hard to distinguish what is real or fake on the web, I can tell you from experience that this is 100% the real thing and is solely the reason why I make the money I do and can live the life I do. If, and only if you are truly serious about making money online and will do whatever it takes to succeed then email me, skype me, call me or just sign up and get started. I’m a normal person, I didn’t come from a rich family and I certainly didn’t even have a couple thousand dollars saved up. What I did have though, was determination, dedication and desire (or the Three D’s as I’ll call it) to succeed in life and on my own terms. I didn’t want to have a boss that told me what to do while I slaved away for most of my life trying to potentially rise up the corporate ladder. I didn’t want to make someone else rich while I just fought to keep my J.O.B. (Just Over Broke). This is the single most important business opportunity I have and very well may ever come across in my entire life. I don’t know about you but I’m not one to let a possibility this significant slip past, and I didn’t. Since starting four months ago, I’m now making more money than I did at my 9-5. I’ve met countless amazing, inspirational and more importantly successful people than I could have imagined. I’ve had the simple pleasure of shaking the owners of the company’s hand and saying, “thank you”. I’ve created freedom, opportunities and happiness all because of the small decision I made one day. The decision that I’m going to give this “internet thing” a shot. I’m going to give it my all, not just dabble here and there. Worst case scenario I learned how to market/promote any product or business better than I could have at any school. Best case scenario I started living my dreams instead of thinking of them as fantasies or unachievable feats. Guess what? I’m doing the latter, and in truth neither of those poles are “bad”. You win either way, it’s just up to you to decide how much you win. I now have a recipe to replicate my results given you follow exactly in my footsteps. You don’t have to make the mistakes and waste years trying to find out what “works” like myself along with thousands of others did. The most important thing is, you don’t have to do it alone. There are some massive things coming into play. The world, let alone this industry, is going to be turned upside down when they see what we’re doing. It’s not just me. It’s my team. What’s the point of being at the top when you are by yourself? Run with me. Don’t fumble behind. RUN with me. If a 12 year old kid that was at the event can make $12000 while going to school, doing homework and being a kid, then why can’t you? You can but the question really is: will you? I hope you do because my team and I are going to be succeeding more and more regardless. My goal is to help others transform their life just the same way that mine has, not “change” it. As Tony Rush basically said, “If you have some food and pour some spices on it you’ve changed it, but when a caterpillar turns into a butterfly, it’s been transformed”. My team has put some ground breaking resources in place that are literally a first for this industry. We are the ONLY people that have a call floor dedicated to getting leads, converting them to sales and then delivering them to us, all WITHOUT talking to anyone or posting a single link yourself. The return on investment is extremely lucrative and the process is as simple as clicking a button. If that isn’t enough (and it really should be!) we’re actually going ahead and creating a TV show based on our team and our success. I don’t just mean a random YouTube video that we post on our own Facebook walls. I’m talking about a commercial quality show that’s currently in a bidding war between 5 different major networks. These are just two of the massive things we are exclusively doing and this is barely scratching the surface! Don’t be one of the millions of viewers that’s going to say, “I could have been one of those people…” once they see the TV show. I’m going to put two links below here because I KNOW I’ll get hundreds of emails asking for more information anyway. The first will be an introduction into the world of Empower Network and the system that is proven to work, and the second will be a complete break down of network marketing and this opportunity. Watch these, sign up and get started right away. 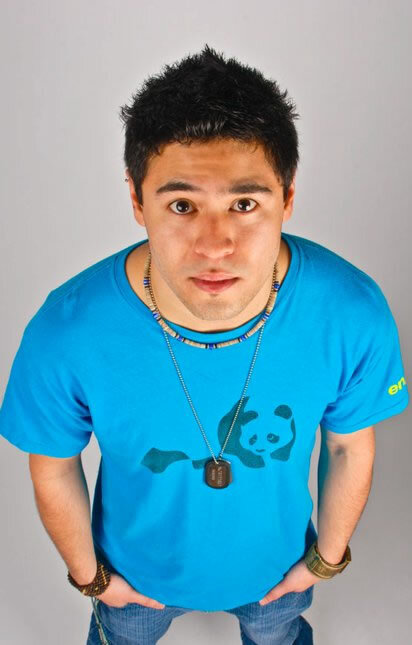 The next event is in Denver, Colorado July 19-21, 2013 and I hope to see you all there. Trust me when I say you don’t want to miss this! I’m not going to try and convince or prove to you all the reasons why you need to get involved, I simply don’t have time for that. I’d rather spend my time working with the people that have already made a commitment to themselves and are doing whatever they can to make it happen. I’m grateful for the opportunity that I’ve been given and I’m even more grateful for being able to work alongside of all of you. Let’s make waves and show everyone how life should really be. I don’t mean be a rich snob and flaunt it, I mean make a difference and live prosperous. Live in wealth. Wealth doesn’t necessarily have to be only monetary. It can be knowledge, abundance and intangible, but the money part is definitely a plus! If you want to talk to me directly before you dive in give me a shout here and we can chat through email, skype or phone. Looking forward to your journey reaching utopia, and I’ll be right there to brush off the path.